Thu., Dec. 14, 2017, 5:06 p.m.
Democrats denounced new rules for the Internet approved by the FCC while congressional Republicans from the Northwest backed them. Sen. Maria Cantwell, D-Wash., was one of 16 senators – all Democrats or independents – announcing a plan to undo the Federal Communications Commission decision and restore the rules adopted in 2015. The senators plan to file a resolution under the Congressional Review Act, which allows Congress to overturn a federal agency’s action with a majority vote of both chambers. Sen. Patty Murray, D-Wash., said the rules will “change the internet as we know it, and turn it into yet another money-making tool for large corporations.” People affected by the decision should continue to fight back, she added in a press release. 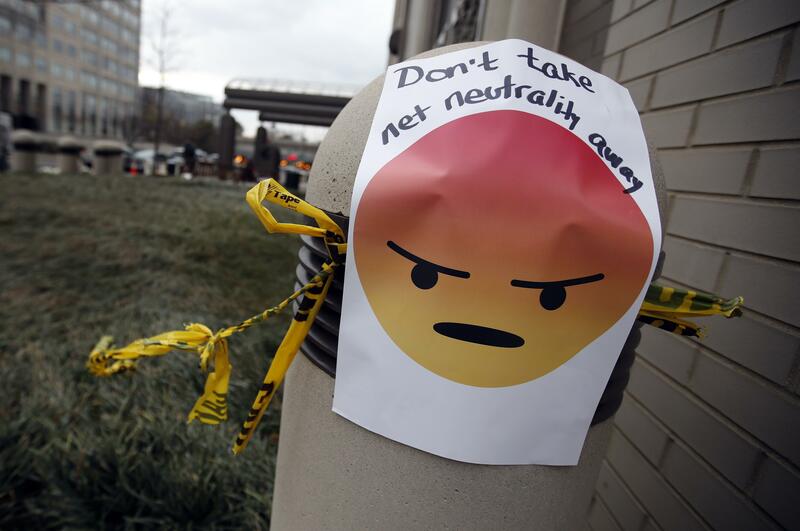 Sen. Mike Crapo, R-Idaho, took the opposite stance, supporting the change because he believes the 2015 rules were more likely to hurt the internet by making it a public utility. “Public utilities heighten the barriers to entry for cable broadband providers because of higher costs, and in doing so, limit the number of competitors that could provide internet service,” Crapo said. He’ll continue to support efforts that promote accessibility, competition and innovation, he added. Rep. Cathy McMorris Rodgers also supported Thursday’s decision to roll back the old rules, and urged people to “come to the table” to find a bipartisan legislative solution to protect consumers without harming investment. “The heavy handed rules from the Obama administration stifled investment in rural communities, like those in Eastern Washington, and created uncertainty for (internet service providers) in meeting the requirements of those rules,” the Spokane Republican said in a press release. Net neutrality could be a bone of contention in McMorris Rodgers’ upcoming re-election campaign against Democrat Lisa Brown, a former state legislator and Washington State University-Spokane chancellor. Brown believes the 2015 rules helped create economic advancement and provided equal access to small businesses and rural communities. “Large internet service providers should not be able to call the shots and dictate what we see and how fast we see it,” Brown said in a press release. Three Republicans running for Idaho’s 1st District congressional seat were mixed on the possible effects of the new rules but said ultimately Congress, not an unelected commission, should decide. “I have concerns that the consequence of such a broad change could lead to corporations picking winners and losers in terms of content delivered through these networks,” state Rep. Christy Perry, R-Nampa, said. Corporations invested in building the network but taxpayers also subsidized it. Access to broadband and its content is a critical issue for Idaho businesses and families, state Rep. Luke Malek, R-Coeur d’Alene said. Congress should set a policy that protects the free flow of information while fostering innovation, he added. David Leroy, a former lieutenant governor and attorney general, said it’s a complicated issue that doesn’t fit a simple yes or no answer. He believes the new rules will allow ISPs to innovate and provide better service options, but has concerns that a very few providers will have power over the marketplace and possibly dictate access. A fourth candidate, former state Sen. Russ Fulcher, R-Meridian, supported Thursday’s decision, saying the old rules seemed to give government “sweeping regulatory control over the internet” which, over time was likely to add cost and hurt industries. “Over the course of time, free market competition yields a better result for consumers,” Fulcher said. The four are vying for a seat that will become open as U.S. Rep. Raul Labrador runs for governor. Labrador didn’t respond to a request for a comment on the FCC decision. Republican Jim Risch, Idaho’s other senator, was traveling and couldn’t be reached for comment. Published: Dec. 14, 2017, 5:06 p.m.